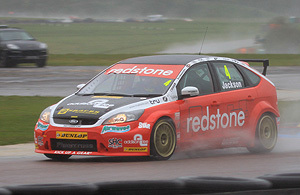 Round 3 of the 2012 championship was held in changeable weather conditions and provided some very close racing. 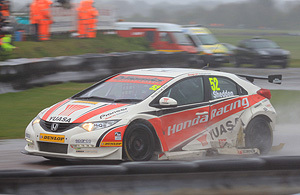 Gordon Sheddon was dominant and managed to not only win 2 of the races today but also improved from 5th in the championship fight, to 2nd. 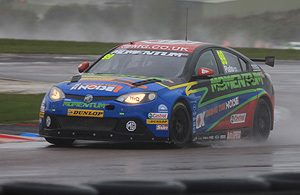 Jason Plato now leads the championship with 129 points from Gordon Sheddon who is only 4 points adrift.